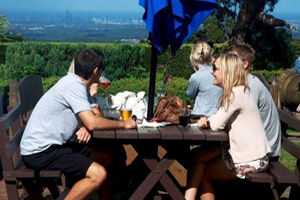 Dining on Mount Tamborine, you will experience fresh local produce, prepared with care and skill is the key to your culinary delights. 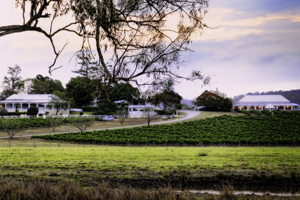 Passionate producers, rich volcanic soils and unique weather conditions bear foods and produce of the finest quality. 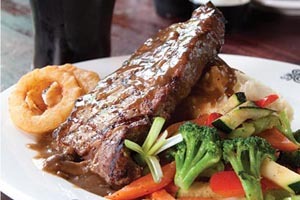 This entry was posted in Eating Out, North Tamborine, Restaurants and tagged Eating Out Guide, Hickory Slow, Ribs n Beer, Tamborine Food on January 1, 2013 by Detlef. This entry was posted in Eating Out, Restaurants and tagged Eating Out, Mason Wines, restaurant, winery restaurant on January 1, 2013 by Detlef. A wonderful dining experience! 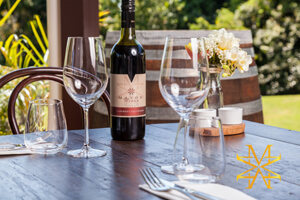 The vineyards at “Cedar Creek Estate” offer the perfect location for a relaxing lunch. 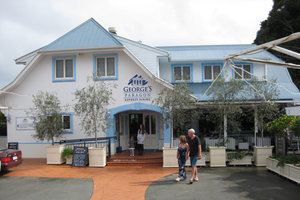 Lunch, morning tea, afternoon tea are all available daily from 10am – 4pm. Enjoy the delightful garden settings in the Gazebo, Veranda, Deck, or indoor dining in the Hamblin Room. 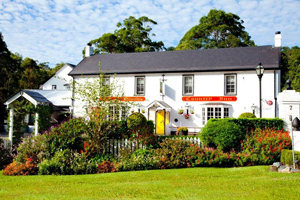 The menu has an assortment of meals including Devonshire tea, children’s meals, light lunches and gourmet a la carte meals. This entry was posted in Eating Out, Restaurants and tagged Cedar Creek, Dining, vineyard restaurant, Wine, winery, wines on January 1, 2013 by Detlef. When did you last enjoy a Pretzel and a German Bier? 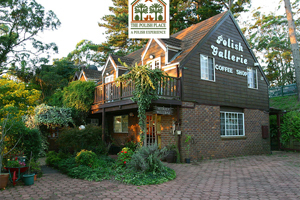 The “Bavarian Grill Haus” is a multi award winning restaurant offering traditional German hospitality and ambiance. Dine inside our Grill Haus and enjoy traditional music and festivities, or sit on the balcony offering magnificent views, perfect for sampling our large selection of German Biers. We’ll see you there – “Auf Wiedersehen”! This entry was posted in Eating Out, Restaurants and tagged Bavarian, Eating Out, German Bier, Grill, Grill Haus, winery on January 1, 2013 by Detlef. Fine muliticultural cuisine! 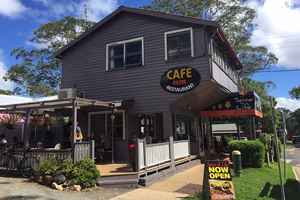 “Spice of Life Cafe Deli” is a true Tamborine Mountain icon! 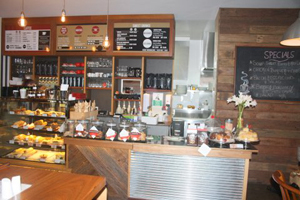 A la carte breakfast and lunch, full range of gourmet deli items. 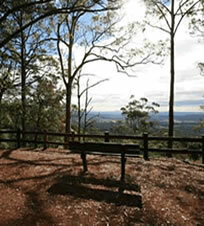 Ask about our off site catering service and picnic baskets! Open 7 am to 6 pm every day! This entry was posted in Cafes, Eating Out, Main Street, Restaurants, Shopping and tagged Cafe, coffee, Deli on January 1, 2013 by Detlef. This entry was posted in Cafes, Eating Out, Restaurants and tagged Cafe, Eating Out, Gallery Walk, The Gallery Cafe on January 1, 2013 by Detlef. 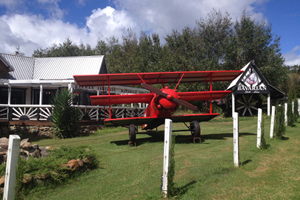 Tamborine’s favorite Pub in the Paddock! 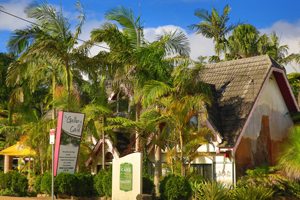 The “Bearded Dragon Hotel” is a gem of good old-fashioned Australian hospitality, offering live entertainment, reptile shows and the famous canetoad racing. All day menu available. 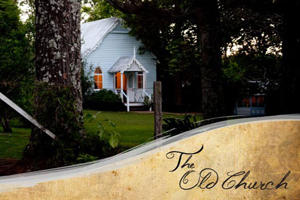 Featuring a scrumptious menu boasting an array of delicious starters, mains and desserts using local scenic rim produce. 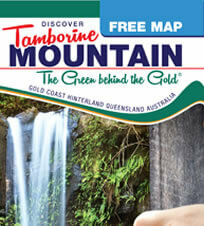 Open Mon – Fri 10am to 8pm, weekends from 8am. This entry was posted in Eating Out, Pubs and Bistros, Restaurants and tagged Aussie Hospitality, Bearded Dragon, Country Pub, restaurant on January 1, 2013 by Detlef. Pizza Burgers Pasta! 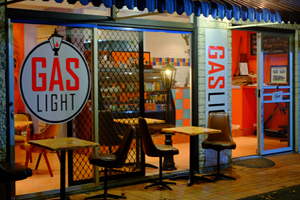 At “The Gaslight” we are committed to providing the local market with quality food at excellent prices. We make our own gnocchi, lasagnes, beef patties, and crumb fresh chicken breast for our burgers. Our pizza dough is proved for a minimum of two days for maximum flavor and texture. All sauces and dressings are homemade. Open Wed to Sat 11:30am to 9pm, Sun (Pizza only) 4:30pm to 9pm, Mon 4:30pm to 9pm, closed Tuesdays. This entry was posted in Eating Out, Restaurants, Takeaways on January 1, 2013 by Detlef. 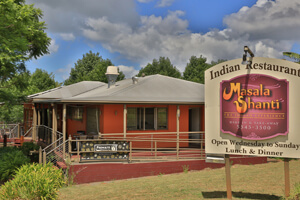 “Masala Shanti Restaurant” aims at providing you with the very best Indian meal you EVER had! From the mouthwatering Indian menu to the authentic decor every single detail has been thoroughly thought through. An absolute FIRST CLASS dining experience! Open for lunch and dinner from Wednesday through to Sunday. This entry was posted in Eating Out, Restaurants and tagged Eating Out Tamborine, Masala Shanti, restaurant, The Indian Experience on January 1, 2013 by Detlef. 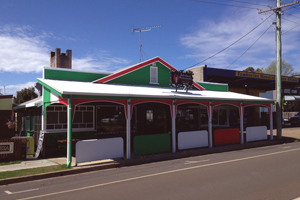 Australia’s only Authentic English Pub! 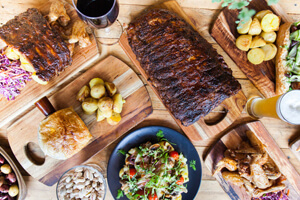 The “Fox and Hounds” transported from Royal Tunbridge Wells lets you experience the old world charm of an authentic English Pub style restaurant with a great British menu offering English Ales, great Australian wines, local and imported ciders – the perfect destination for any occasion! 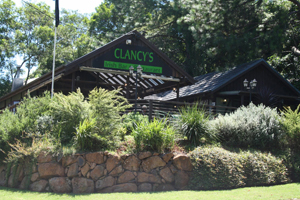 Open for lunch and dinner 7 days a week, including public holidays. This entry was posted in Eating Out, Restaurants and tagged Ale, English Pub, Fox and Hounds, Guinnes, restaurant on January 1, 2013 by Detlef. The Polish Place is currently being re-built! In the early hours of New Year’s Eve 2016 the main restaurant building (shown on the left in it’s former glory) was completely destroyed by fire. Great News is that the re-build has commenced on the 7th of January 2019 – please check websites for updates and more information. This entry was posted in Eating Out, Restaurants and tagged Eating Out Tamborine, Polish Place, restaurant on January 1, 2013 by admin. You don’t have to be a bowler to enjoy great club prices! 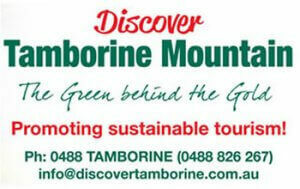 The “Tamborine Mountain Bowls Club” is open 7 days a week from 10am. 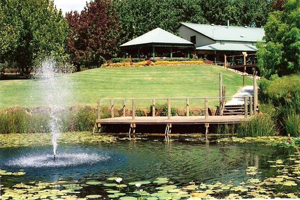 Enjoy a game of bowls, pool, darts, or just relax in great company enjoying the atmosphere and an ice cold drink. 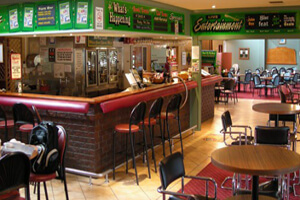 Weekly live music and entertainment including our famous raffles, the members draw, karaoke and bingo. Bistro open for lunch Thu to Sat 12 Noon to 2pm, open for dinner Wed to Sat 6pm to 8pm. 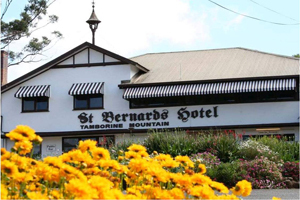 This entry was posted in Eating Out, North Tamborine, Restaurants, Shopping and tagged Keno, Pub and Bar, Tamborine Mountain Bowls Club, the local bowlo on January 1, 2013 by Detlef. This entry was posted in Eating Out, Restaurants and tagged Georges Paragon, Greek restaurant, Seafood, tamborine Eating Out on January 1, 2013 by Detlef. In true Mexican style! “El Burro Cantina” is now open! Welcome and “Buenos Dias Amigos!” Brilliant food and exceptional service. The churros are amazing and the sangria is just as it should be… full and fruity. Open Wed to Sun 5.30 to 8.30pm for meals, fully licensed until midnight. . 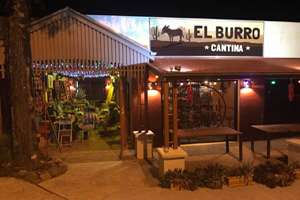 This entry was posted in Eating Out, North Tamborine, Restaurants and tagged Eating Out Tamborine, El Burro Cantina, restaurant on January 1, 2013 by Detlef.